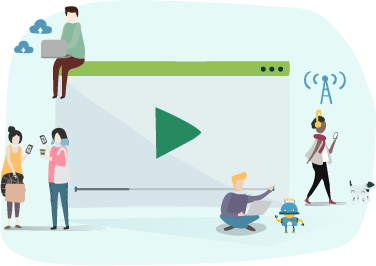 Your marketing team needs to make sure that when Sales removes a record in CRM from a List or Campaign that it is removed from the List in Constant Contact, Drip, Klaviyo, Act-On or Mailchimp Audience. Enter the Full Sync Add-On. This feature allows you to automate your workflow around cleaning up your Marketing Automation Lists/Tags/Groups easily. You can scale your growth and spend less time on repetitive tasks using it. CRM or eCommerce Segmentation: List, Campaign, Tag, Tearsheet, etc. in Step 1 of your integration. SyncApps Segmentation: Filtering + Segmentation feature in Step 5 of your integration. 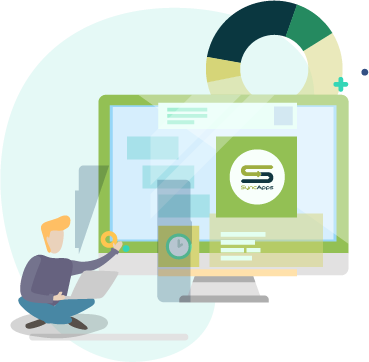 This Add-On is applicable to CRM and eCommerce platforms using segmentation to control data flow. 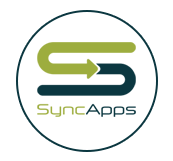 Grab our Full Sync from your Add-Ons tab inside SyncApps to get started. Full Sync is available on our Paid Plans and also available to try on our Free Trial! 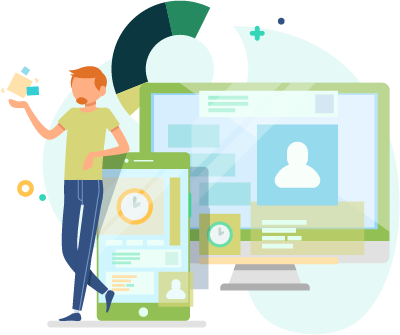 Once you purchase the Add-On you can set up your Full Sync schedule and Contacts or Leads removal from CRM list(s), eCommerce Segmentation(s) will be removed from matched Act-On/Constant Contact/Infusionsoft/Mailchimp/VerticalResponse List(s)/Tag(s)/Group(s) during a Full Sync. Please also note that "Full Sync" and "Reset Sync Profile daily" features should not be used together. Will work if Campaign as List Sync is enabled in Step 1 but only if Cazoomi Marketing List package is not installed. Will work if no Marketing List mode is enabled in Step 1 but Segmentation is enabled in Step5. Will not work with Cazoomi Marketing List package. Will work with Checkbox Field Segmentation Add-On. Note: If Campaign as List Sync is enabled in Step 1, however, and Cazoomi Marketing List package is also installed on your CRM please first uninstall the Marketing List package from CRM for the Full Sync feature to work correctly. To automatically remove records from your Marketing Automation solution when they are no longer a part of any synced CRM Marketing List then subscribing to our Full Sync Add-On is a great solution as it is the only way to automatically remove a CRM member from a synced external Constant Contact List, Mailchimp Group and others. Using Filtering and Segmentation with Full Sync? The Full Sync Add-On will not remove a record from a Mailchimp Group if it does not match the filter in Step 5 anymore unless using a segmentation method in Step 1 or in Step 5 of your integration. If you want to sync all Contacts in Step 1 and just filter against your entire database yet still remove records from a Mailchimp Group then be sure to enable the segmentation feature on filtering in Step 5. Each "Segment Name" will be synced to a Mailchimp Group. Please note: The Full Sync Add-On is needed to remove a record from a Mailchimp Group if it does not match your Filter & Segmentation criteria set up in Step 5 of your Sync Profile. If you would like to remove from a Mailchimp List each time the Full Sync Add-On runs then please enable this feature in Step 2 of your integration. If you enable segmentation on filtering in Step 5, including using the Full Sync Add-On, and if contact or lead is no longer part of a segment, SyncApps will remove the contact from the Mailchimp Group. Full Sync Add-On for NetSuite to Act-On or our other marketing automation integrations? 1. Create a NetSuite Saved Search named "Customization Test" and let’s say it was initially 5 entries. Create an Act-On Marketing List named "Customization_Test" and set the NetSuite Saved Search to sync with that Act-On List. After which, press Sync and all 5 expected entries will be synced in the Act-On list. 2. Remove 1 entry in the NetSuite Saved Search and then next, trial or purchase the Full Sync Add-On from the Add-On tab inside your dashboard. Once Full Sync is enabled, the Full Sync option will appear in Step 3. Note: Full Syncing will remove Records(s) from Act-On if the Record(s) is no longer a member of the NetSuite Saved Searches. All CRM and eCommerce that supports Segmentation and List sync will feature the Add-On as an option in the Add-Ons tab. 3. Press the Reset Sync Process button from the dashboard and run the Sync again. The result will show that the customization really works as the Act-On List now has only 4 entries, a complete replica of the NetSuite Saved Search. Check out our Full Sync Wednesday Walkthrough replay here! Experiencing issues or difficulties during testing? Reach our 24/7 team for assistance, and we’ll throw in a free Sync Profile Setup Review today!